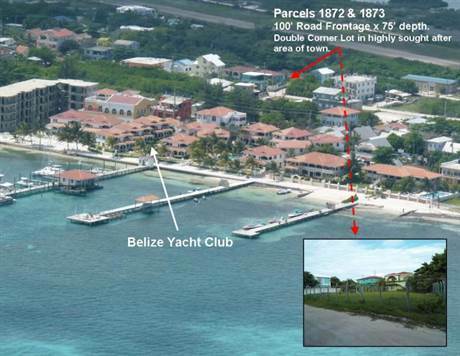 Ambergris Caye, Belize - A superb opportunity to own a double lot on the corner, 3 blocks from the best beach due west of the Belize Yacht Club. Price has been reduced from $159,000 to $115 for a quick cash sale. Both lots are high and dry with high fencing on all four sides. These lots are located in Esmerelda Subdivision, a highly sought after area known for being quiet, peaceful, safe, very close to town, and in close proximity to the Fitness Center, Pinocchio's Restaurant, BYC and La Isla Bonita grocery store.